The A-Class™ Mark II family of advanced print engines is designed for high-demand, multi-shift print-and-apply label application where fast throughput and proven reliability are a must. 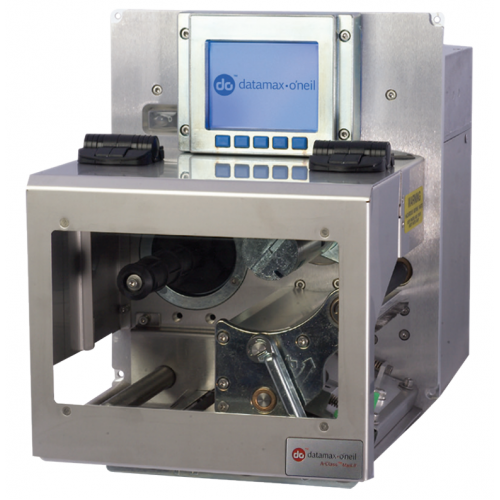 Innovative features include a modular design for enhanced serviceability, coated-side-in or coated-side-out thermal-transfer ribbon assembly, and more. When your demanding print-and-apply label applications require more features than standard print engines offer, it’s time to move up to the A-Class Mark II family. These advanced print engines are designed for high-demand, multi-shift applications that require fast throughput and proven reliability. A-Class Mark II printers use industry-recognized firmware architecture with maximum connectivity options for industry-standard communications interfaces. They support the industry-recommended OEM 5 bolt mounting connection for seamless integration into your system. And PL-Z (Zebra) printer language emulation allows you to seamlessly integrate the A-Class into existing solutions without changing label formats.